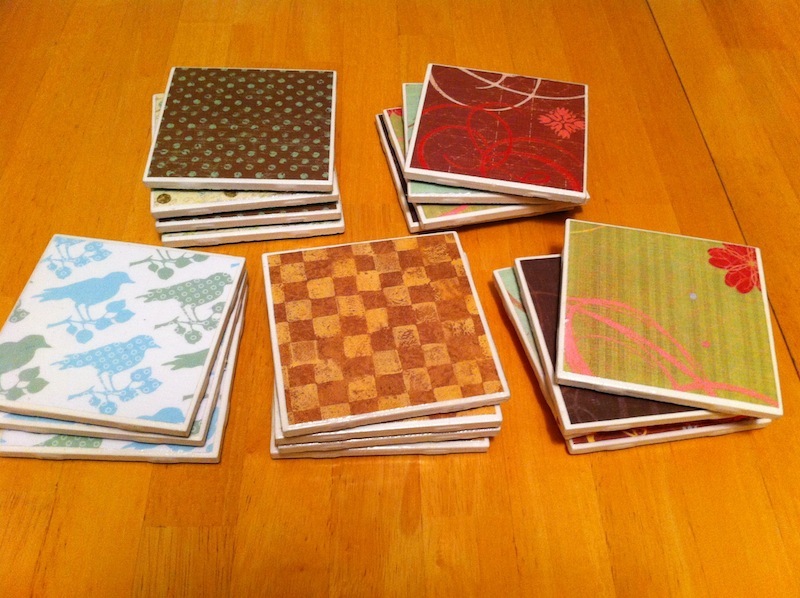 Yesterday, I shared the giveaway for my handmade coasters. Today is the tutorial! This project is a spin off of a post I saw on Little Chief Honeybee. Anthony and I went to our local Home Depot and picked up the porcelein tiles for 16 cents a piece! Then we went to Jo-Ann's and purchased Mod Podge & foam paintbrushes for about $7. Remember all of the felt flowers I've made? Well, I have some leftover felt from those projects. And I also used to scrapbook, so I have lots of paper to use for the tile decoration. As Kaelah says in her tutorial, you can use movie tickets, or other sentimental paper items to cherish forever! So, a recap. This project cost under $12 for 20 tiles. The price you'd normally pay for a set of 4 tiles. Cut out a 4-inch piece of scrapbook paper and felt for the back. Attach the felt with hot glue. Then use a little Mod Podge and affix the scrapbook paper to the tile. 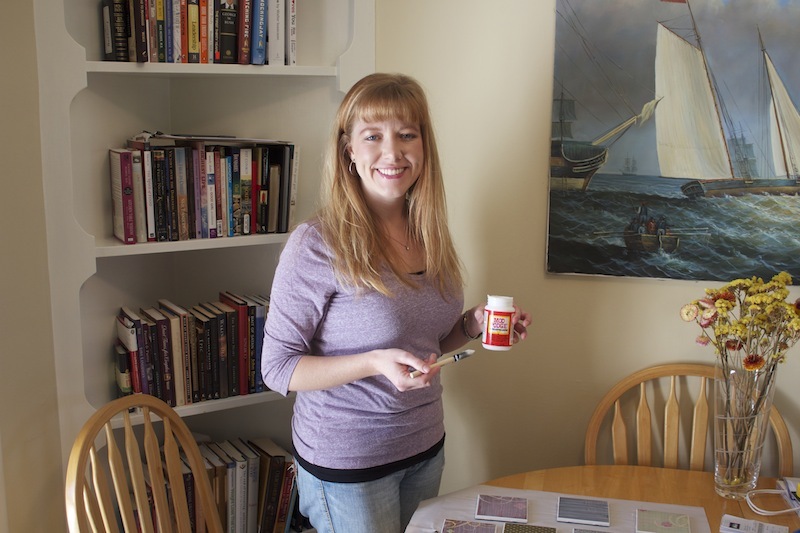 I applied 3 coats of Mod Podge waiting at least 30 minutes in between each coat. That's it! 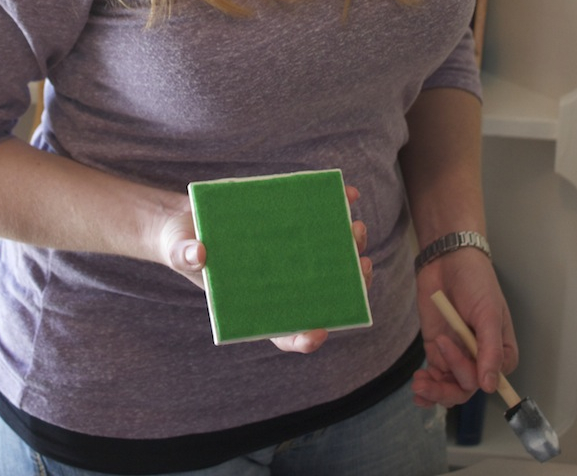 The tiles are super cute and a fun project to make. 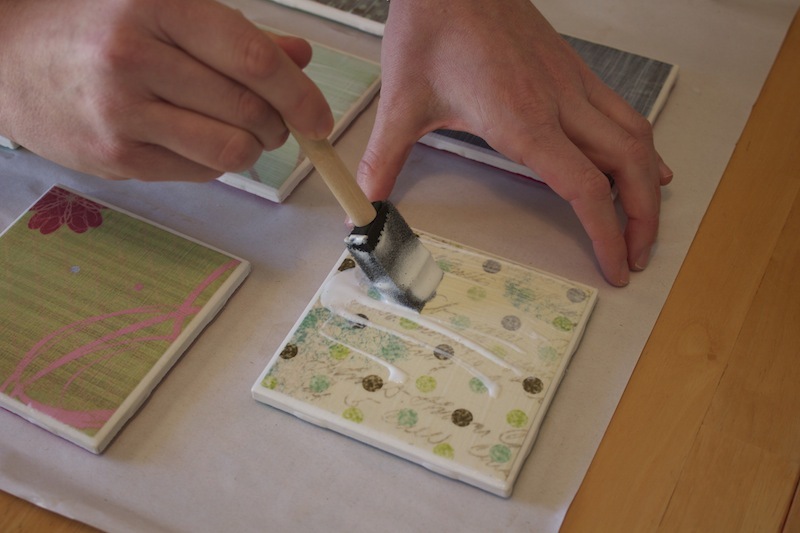 Have you ever made coasters before?